A multimodal project in Colorado that installed advanced technology to speed emergency responses and added new travel options including a commuter bikeway—along with a project in Idaho that removed the last of 18 dangerous intersections — were honored as the top winners in the 2017 America’s Transportation Awards competition. The Colorado Department of Transportation’s $487 million US 36 Express Lanes project earned the Grand Prize and the Idaho Transportation Department’s $11.2 million US 20 Thornton Interchange project was voted the People’s Choice Award winner, in the 10th annual competition sponsored by the American Association of State Highway and Transportation Officials, AAA and the U.S. Chamber of Commerce. 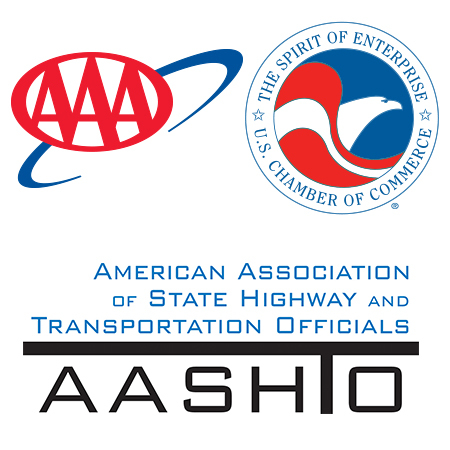 Presented at the AASHTO Annual Meeting in Phoenix on September 27, the Grand Prize and People’s Choice awards came with $10,000 cash prizes to be used to support a charity or transportation-related scholarship program.